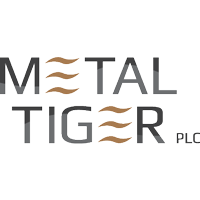 Metal Tiger Plc (LON:MTR) has today announced that it has signed a binding agreement with its joint venture partner MOD Resources Limited to sell its 30% interest in the T3 Project in consideration for 17,200,000 MOD shares and 40,563,566 options to receive a further 40,563,566 MOD shares for nil consideration, exercisable under certain conditions, for a total value equivalent to A$27.7 million based on the last traded price of MOD shares on the ASX as at 17 July 2018 of A$0.48 per share. Under the Agreement, Metal Tiger and MOD will also transfer control of all remaining exploration licenses held under the existing joint venture arrangement (i.e. excluding the T3 Project) to a new exploration joint venture company to be owned 70% by MOD and 30% by Metal Tiger. The New JV will continue the ongoing exploration programme over the 18 exploration licences covering 7,978 km2 of prospective land in the Kalahari Copper Belt. Metal Tiger to sell its 30% interest in the T3 Project (circa 24km2 within prospecting licence PL190) for MOD shares and Options (“Consideration Securities”) in MOD for a total value equivalent to A$27.7 million based on the closing price of MOD shares on the ASX on 17 July 2018 of A$0.48. Consideration value based on MOD’s 20 day VWAP of A$0.461 as at 17 July 2018 of circa A$26.6 million. Metal Tiger has invested circa £3.8m to date in the MOD/Metal Tiger joint venture, and this milestone deal has so far provided Metal Tiger shareholders with a circa 4.5x return over direct investment cost, excluding any investment in the listed shares of MOD. The total investment in the joint venture comprises contributions made to both T3 and other exploration licenses and the return calculation takes no account of the unrealised value of Metal Tiger’s 30% stake in the New JV. The consideration for the sale of T3 comprises a combination of MOD shares and Options, providing Metal Tiger shareholders with exposure to the development of the T3 Project, without a requirement to contribute to mine construction costs, and provides increased exposure to MOD’s successful ongoing exploration programme. Consolidation of the T3 Project to 100% MOD direct ownership is expected to make the asset more attractive with regard to development financing options; Metal Tiger will benefit from this through its substantial Consideration Securities and current equity position in MOD. In the event of a successful takeover offer for MOD any remaining Metal Tiger Options will be automatically converted to MOD shares. Metal Tiger and MOD will enter into a New JV comprising all of the joint venture exploration licenses (excluding the T3 Project) covering circa 7,978 Km2 of prospective land in the Kalahari Copper Belt providing Metal Tiger shareholders with a 30% interest in any future discoveries on these areas. Metal Tiger will also have a significantly increased exposure to the MOD licenses outside of the New JV via its Consideration Securities and current equity position in the company. Metal Tiger will grant MOD contractual rights in the New JV, exercisable under specific circumstances at MOD’s discretion, to purchase the remaining joint venture exploration assets held in the New JV, within the 3-year period following completion of the Transaction. This provides Metal Tiger with pre-defined exits, improving the ability to realise value for shareholders. Metal Tiger will retain a 2% net smelter royalty over the T3 Project capped at US$2 million. In addition, Metal Tiger may also receive a 2% net smelter royalty over all Exploration Assets under specific scenarios. Metal Tiger will have a right to nominate a board representative to MOD provided Metal Tiger owns at least a 10% interest in MOD (including shares and Options). Metal Tiger has entered into a Share and Voting Deed with MOD, in which Metal Tiger has committed to support MOD board recommendations, with restrictions also having been placed on Metal Tiger’s ability to sell MOD shares. Metal Tiger will no longer be required to make further capital contributions to the T3 Project from the date of this Agreement, facilitating improved liquidity to finance further exploration in the New JV and releasing capital for new investments. Metal Tiger currently holds 13,880,042 shares of MOD representing 6.0% of MOD’s current issued share capital. Michael McNeilly, Chief Executive Officer of Metal Tiger plc, commented: “We are delighted to sign this deal with our long-standing partner MOD, which is the culmination of five months of hard work on both sides. We believe this deal represents an exceptional outcome for both Metal Tiger and MOD shareholders and the optimal path forward for the advancement of the T3 Project. The creation of the new exploration JV preserves and formalises Metal Tiger and MOD’s highly successful exploration partnership in the Kalahari Copper Belt where we continue to see scope for substantial value creation in the short term and will continue to draw upon the joint financing capabilities of both the London and Australian markets. Under the terms, Metal Tiger will sell its 30% stake in Metal Capital Limited for a total consideration of 17,200,000 MOD shares and 40,563,566 Options. The Options to be issued to Metal Tiger will not have voting or dividend rights and are exercisable at nil consideration within 3 years. Metal Tiger may exercise the Options by converting them into one MOD share each, provided Metal Tiger owns equal or less than 12.5% of MOD after completing the conversion. The Options reduce the impact of any dilution of Metal Tiger’s shareholding from any future MOD equity issuance. The New JV will be created by a transfer of 17 of the 18 exploration licenses within the current joint venture which will be subsequently transferred from Tshukudu Metals Botswana (“TMB”) to a newly incorporated joint venture vehicle, Tshukudu Exploration (Proprietary) Limited (“TEP”). TEP will be 100% owned by the New JV, a new UK incorporated company, Metal Capital Exploration Limited, to be owned 70% by MOD and 30% by Metal Tiger. The remaining licence, PL190/2008, which includes the T3 Project, will be held on trust by TMB for TEP, and all areas excluding the T3 Project will form part of the New JV. The T3 Project comprises the draft planned mine and plant layout as per the January 2018 T3 Pre-Feasibility Study and covers a total area of 24.34 km2. Metal Tiger’s funding commitment of the T3 Project has ceased following signing of this Agreement. 3. MOD has the option to acquire 100% in all the New JV Exploration Assets following a change of control recommended by the MOD Board (the “JV Consolidation Option”). Upon exercise of the JV Roll-Up Option or JV Consolidation Option, Metal Tiger will receive a 2% net smelter royalty over the properties the subject of the options. For the avoidance of doubt this will not include a royalty over any New JV Exploration Assets acquired by MOD under the Mineral Resource Option. Metal Tiger will enter into a Share and Voting Deed with respect to the Consideration Securities. MTR has committed to support MOD board recommendations, including a board endorsed change of control. Restrictions have been placed on Metal Tiger’s ability to sell MOD shares, including agreeing not to dispose of any of the Consideration Securities within the 12 months from completion of the Transaction. Upon completion, Metal Tiger will have the right to nominate one director to the board of MOD at any time in which it holds more than 10% of the issued share capital in MOD (including shares and Options). The parties will enter into a Management Agreement to govern the New JV upon completion. The New JV will be managed by MOD and each party must fund ongoing exploration pro-rata to their retained interests. In the UK, HMRC has confirmed in a non-statutory pre-clearance that Substantial Shareholder Exemption should be available to MTR and therefore, no corporation tax should be payable in respect of the disposal of MTR’s 30% shareholding in Metal Capital Limited. Completion will occur 5 business days after the satisfaction of all conditions precedent and is expected to occur by the end of October 2018. Should completion not have occurred by 5.00pm (WST) on 31 December 2018, or such other date as MOD or Metal Tiger may agree in writing, either MOD or Metal Tiger may terminate the Agreement. The latest audited accounts filed for Tshukudu Metals Botswana (Pty) Limited for the year to 31 December 2017 showed a loss for the year of Pula 959,177 (USD 93,310) and net assets of Pula 82,918,625 (USD 8,552,191). NRG Capital Partners is acting as sole Financial Adviser to Metal Tiger in relation to the Transaction.